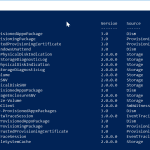 What is a PowerShell Command (cmdlets)? A PowerShell command (cmdlet) is a lightweight command that is used in the Windows PowerShell environment. When you execute a PowerShell command, the Windows PowerShell invokes (calls) the command (cmdlets). Cmdlets are normally invoked within a script. 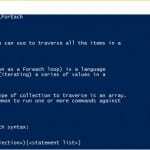 Though you can run a PowerShell command or cdmlet individually, a Powershell command is more useful when used in a script for task automation. ‘Command-Lets’) take a Verb-Noun format. A cmdlet begins with a Verb followed by hyphen (-) then followed by the cmdlet Noun. cmdlet Verb is the word ‘Get’. Another example is the word ‘Set’. A cmdlet Noun is the name of the object in which an action is to be performed. A PowerShell cmdlet Noun may not necessarily be an English language noun. For example a cmdlet Noun is the word ‘ADUser’. As you can see, ‘ADUser’ is not an English noun but it is a Powershell cmdlet noun. Another example of a cmdlet Noun is the word ‘Date’. Putting it together, a real example of a PowerShell command (cmdlet) is the Get-Date cmdlet. Another example is the Get-Process cmdlet. In both examples, ‘Get’ is the action word (verb) while ‘Date’ and ‘Process’ are the objects on which the action is performed (noun). The beautiful thing about PowerShell commands is their Verb-Noun format. This makes it easy for you to remember them. I said earlier that the Verb-Noun format of a PowerShell command makes it easy to remember them. Fortunately, you don’t necessarily have to remember the name of PowerShell command! The Get-Command cmdlet helps you find any cmdlet. The result of the previous command may not be very useful as the list is just too long! To find a specific PowerShell command using the Get-Command, type Get-Command followed by a portion or full name of the cmdlet. Notice the three columns in the figure above? Three CommandTypes are listed: Alias, Function or Cmdlet. 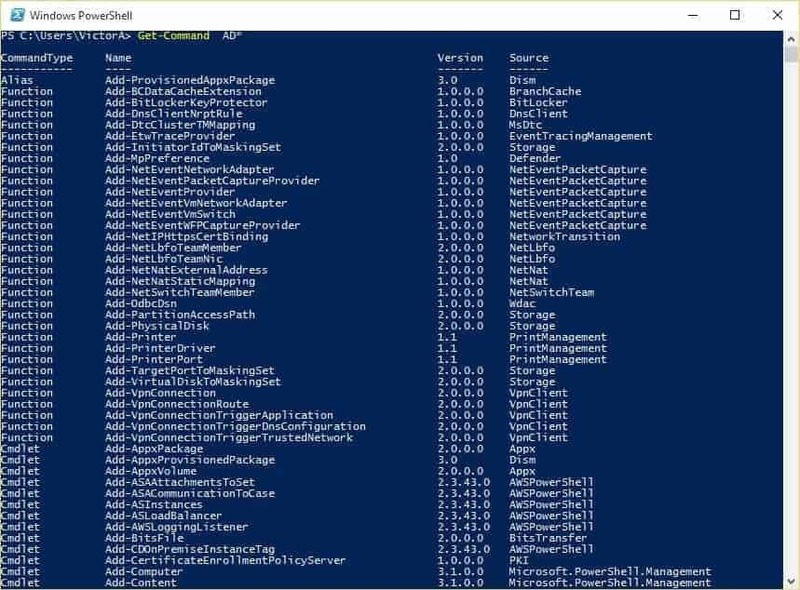 The ‘Name’ column has the name of the PowerShell Command. Lastly, there is the ‘ModuleName’ column. This is the module the Module the cmdlet, function or alias belongs to. The commands shown in this Tutorial are executed on Windows PowerShell 5.0 (Windows 10). In PowerShell 5.0, ‘ModuleName’ column changed to ‘Source’ column. It also includes a ‘Version’ column. If you are using PowerShell 4.0 (Windows 8.1) or PowerShell 3.0 (Windows 7), yours will have the ‘ModuleName’ column. you should have some idea what the command you want looks like. This is necessary except you wish to list all commands. command you want information about is usually easy because of the Verb-Noun format of cmdlets. I used the asterisk (*) wild-card. Most Powershell commands support wild-cards. Most PowerShell commands (cmdlets, functions and scripts) will have some parameters. PKI is the ModuleName. Refer to figure 1.0 above. Notice that the result contains PowerShell Commands (Functions and Cmdlets) that belong to the PKI Module. See Figure below for details. Note that mine returns “Source” instead “ModuleName”. As I mentioned ealier, this is because I am using PowerShell version 5.0 on Windows 10. 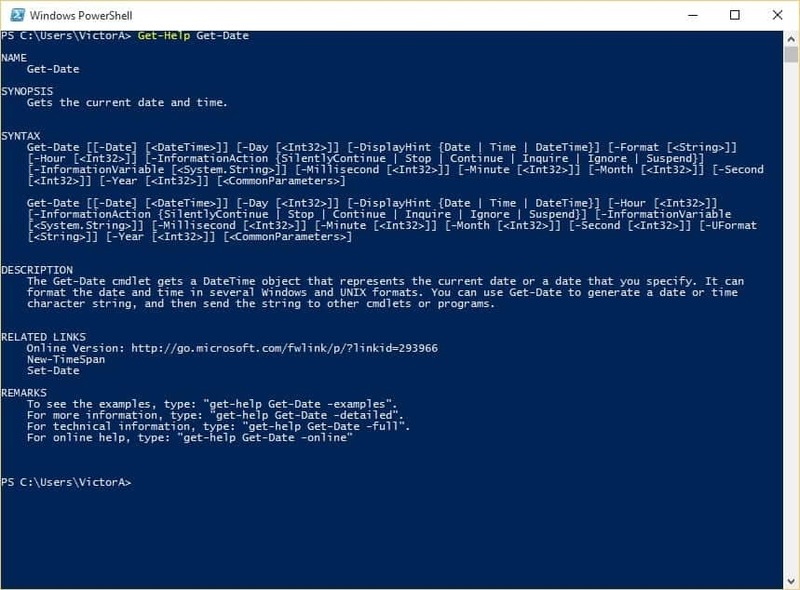 You can combine the Get-Command cmdlet with your knowledge of PowerShell cmdlet Verb-Noun format. You can also find a PowerShell command by using the -Noun parameter of the Get-Command cmdlet. 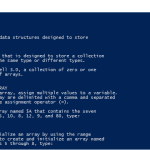 Once you have found a PowerShell command, you need to find out how to use the command. You will need information like available parameters, syntaxes and examples. 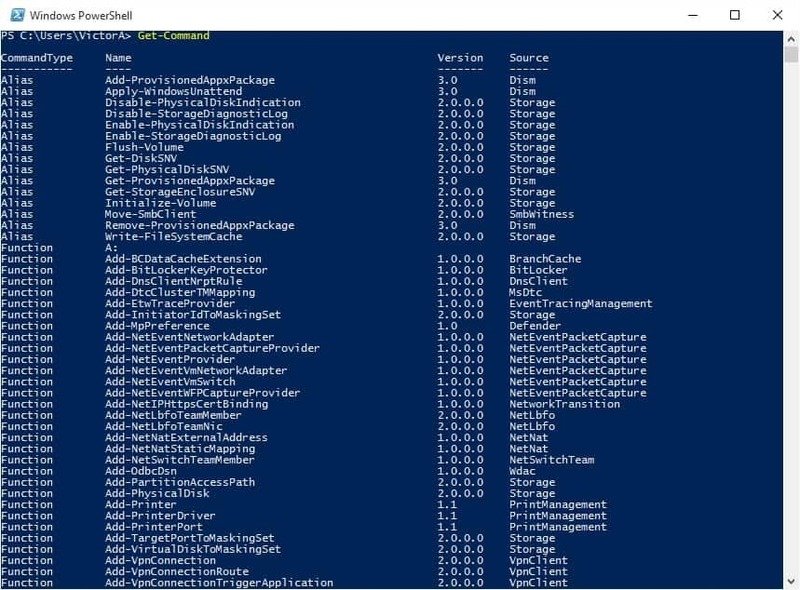 The Get-Help command will provide these information and more about a Powershell command. from you and provides you the ability to control the output of the GetHelp Powershell command. The command above is the basic form of the use of the Get-Help command. -Detailed, -Full, -Online and -Examples. This entry was posted in PowerShell, Powershell Scripts. Bookmark the permalink.